Integral Health is a state of being in which the individual’s body (the physical), emotions and life energies (the vital), and thoughts (the mental) are in harmony with her inmost self, the Soul. Absence of such harmony manifests as disease or illness. 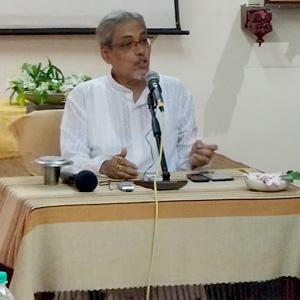 Sri Aurobindo International Institute for Integral Health and Research (SAIIIHR) – Despite quantum leaps made by modern medical science, the understanding and attainment of a complete health and wellness are still out of human being’s reach. Our work in health seeks to find answers to human’s long-felt need for perfect health and wholesome living by researching, synthesizing and sharing new healing methods. SAIIIHR's approach is based on viewing health as a complete and integral harmony between the body, life and mind, brought about by the discovery of the Psychic or Soul-principle. 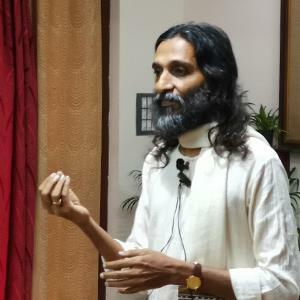 The Institute is engaged in studying and understanding health and healing in all their dimensions, prevention and cure of illness, and to build a universal movement towards integral health. 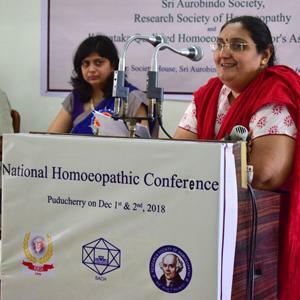 A full-fledged homeopathy clinic—SRI AUROBINDO CENTRE FOR HOMEOPATHY (SACH)—for treatment facilities, health awareness, research and training in homeopathy is a major part of the Integral Health programme of SAS. Health consultancy and high-quality patient care along with Homoeopathic Treatment were given to 6,059 patients at the SACH Outpatient Department in 2018. In support of their research and training initiatives, the doctors at SACH organize and attend local, national and international level workshops, conferences and seminars; deliver numerous lectures and talks; and present papers at esteemed colloquiums. 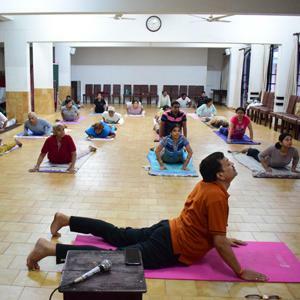 Through the year, several yoga camps are also organized to address various illnesses and diseases. SACH is also carrying out intensive research to study if the application of homeopathy treatment is effective in plant growth. 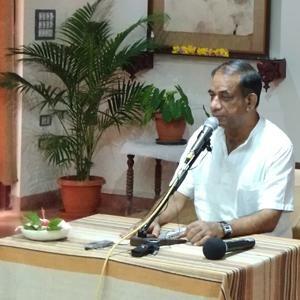 The project covers an in-depth study in the application of homeopathy in the growth of plants, the treatment of plant diseases and its effect on soil fertility. The methodology is proving that homeopathy treats plants successfully.